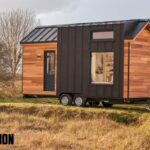 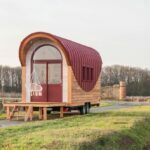 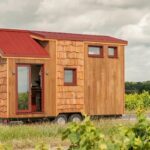 Nantes, France-based Baluchon built the Ostara for their clients, Nathalie and Sebastien, so the couple could be close to their horse property. 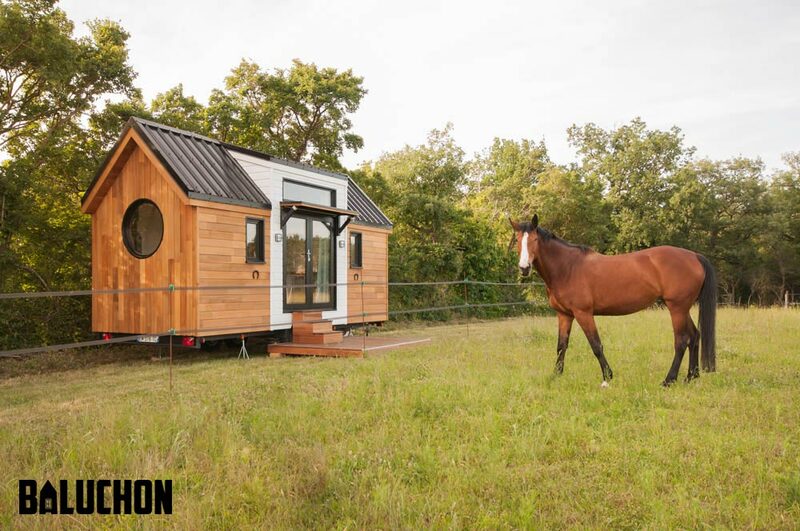 With its double full light French doors, the couple can watch their horses from the comfort of their living room. 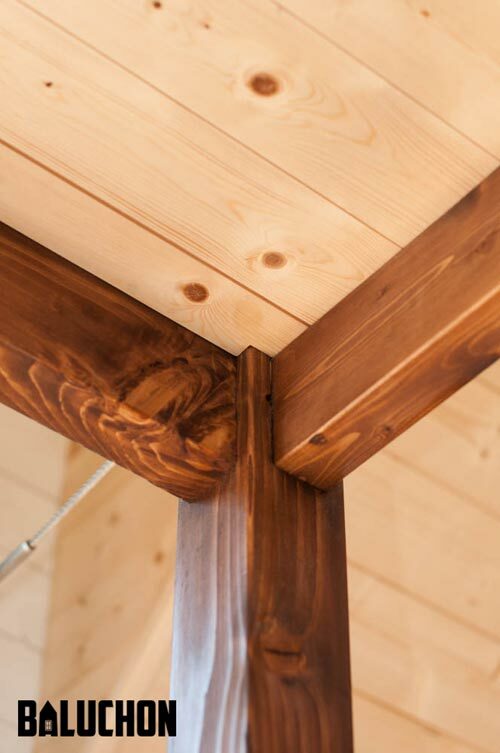 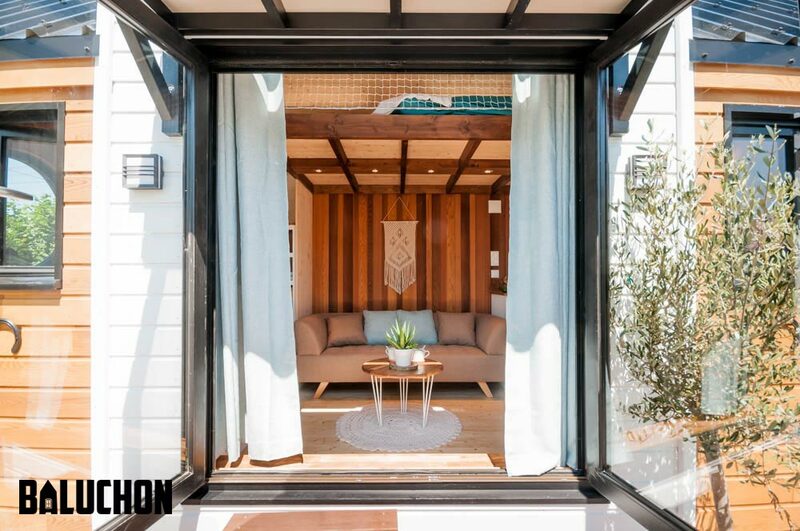 The exterior of the Ostara consists of natural Red Cedar with a white painted accent around the French doors. 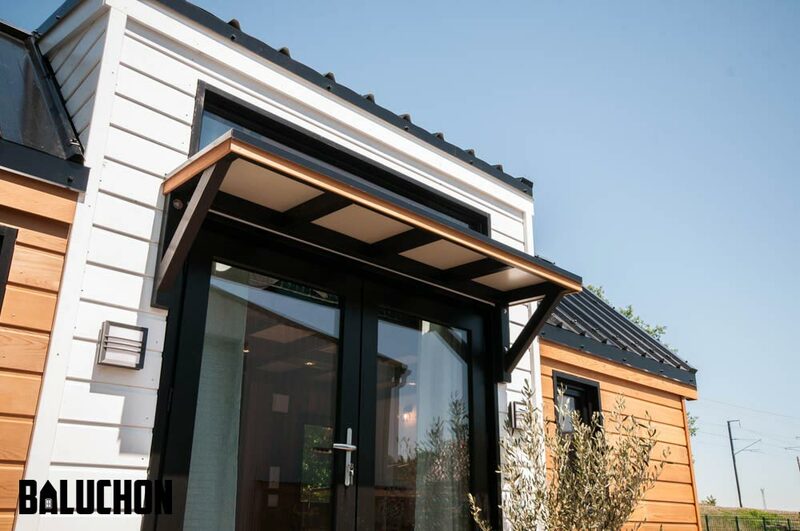 A detachable overhang and ash terrace provide a shaded outdoor sitting area. 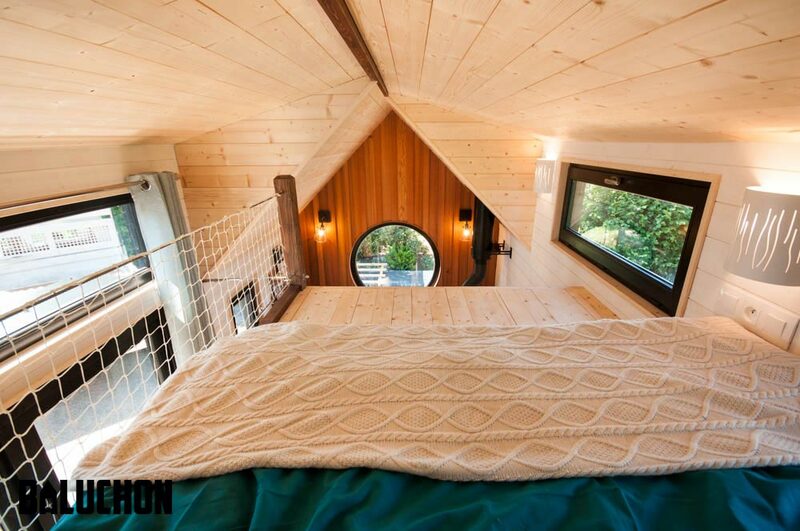 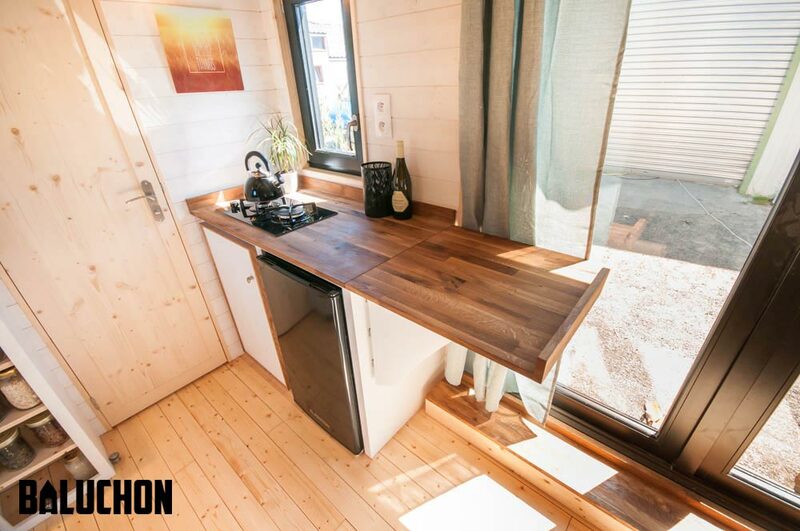 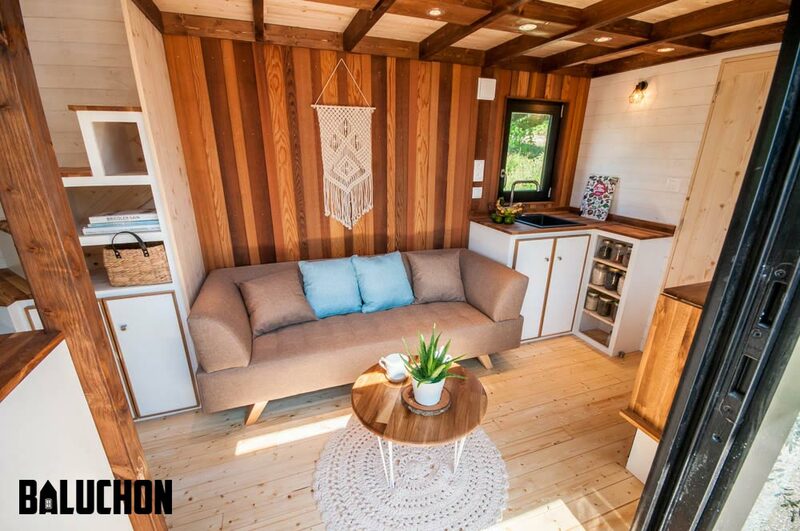 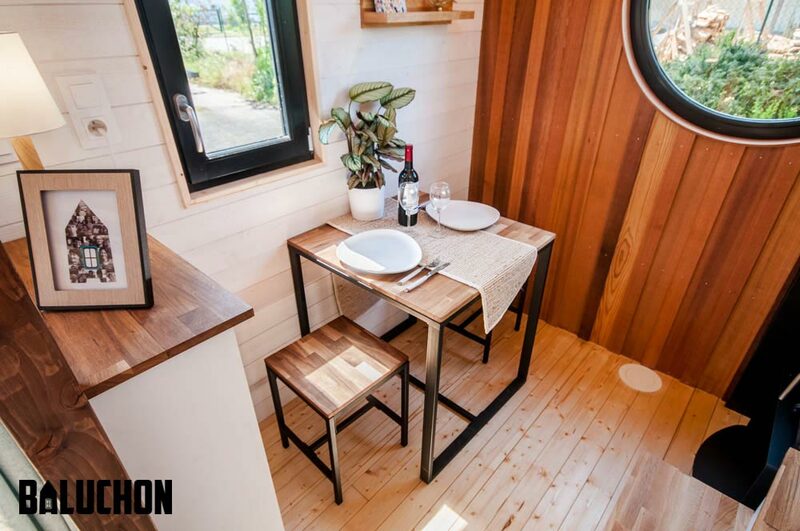 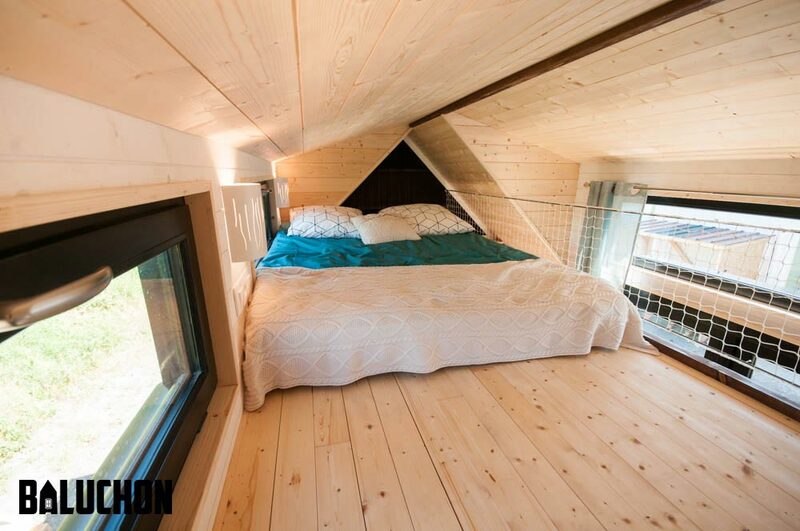 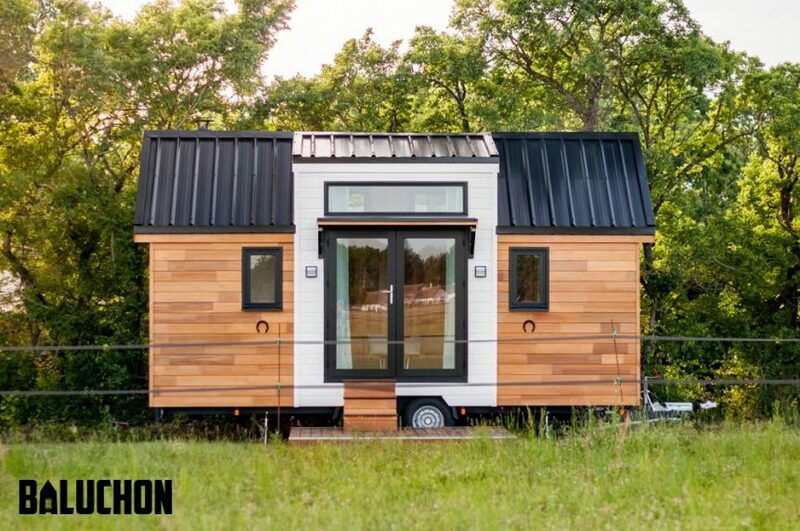 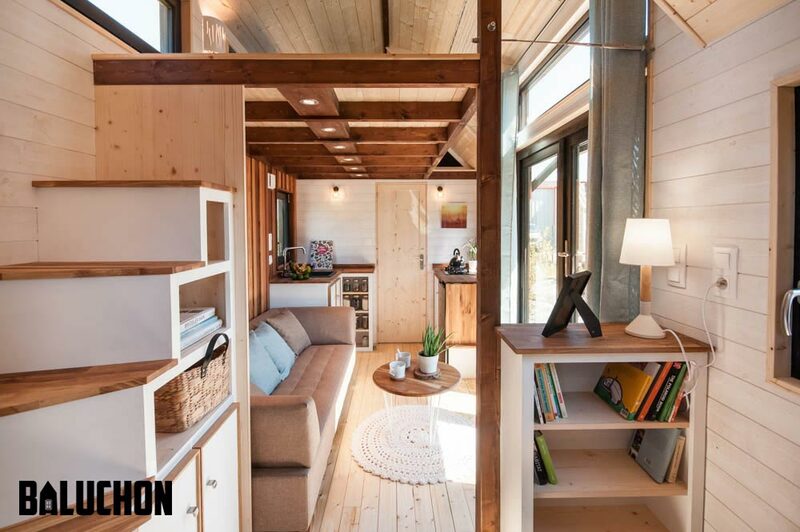 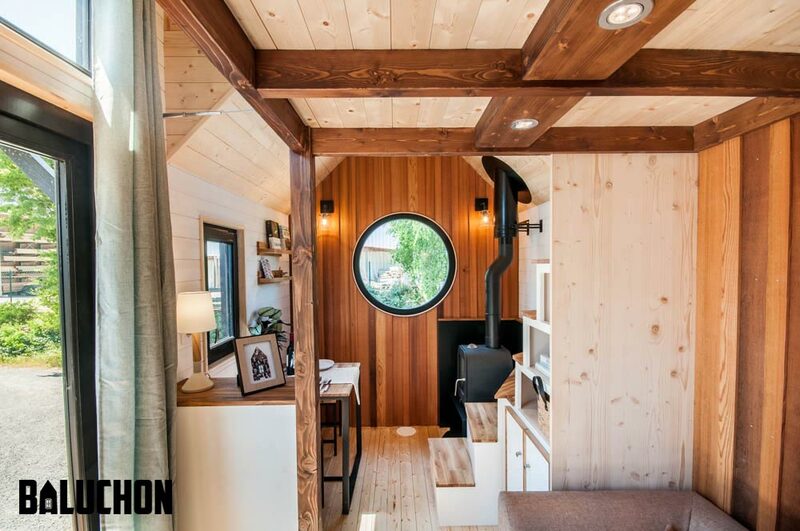 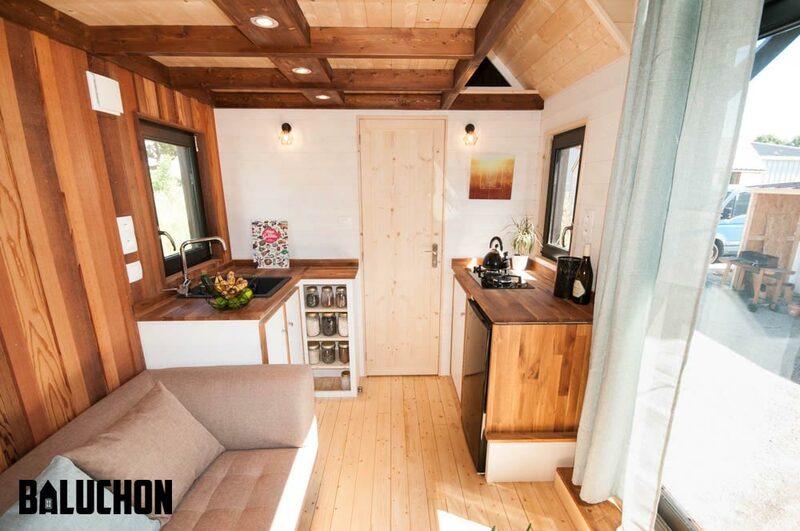 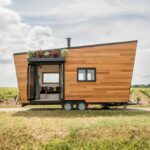 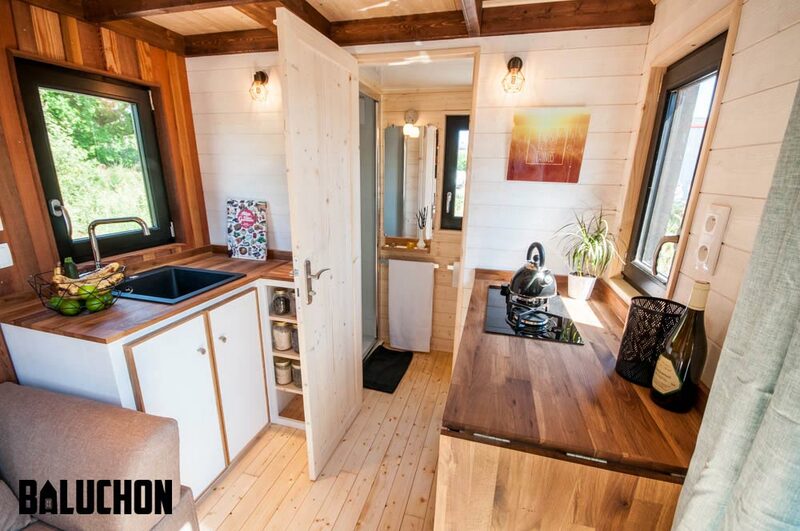 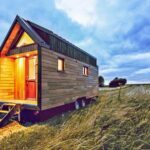 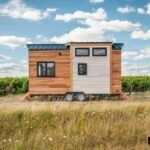 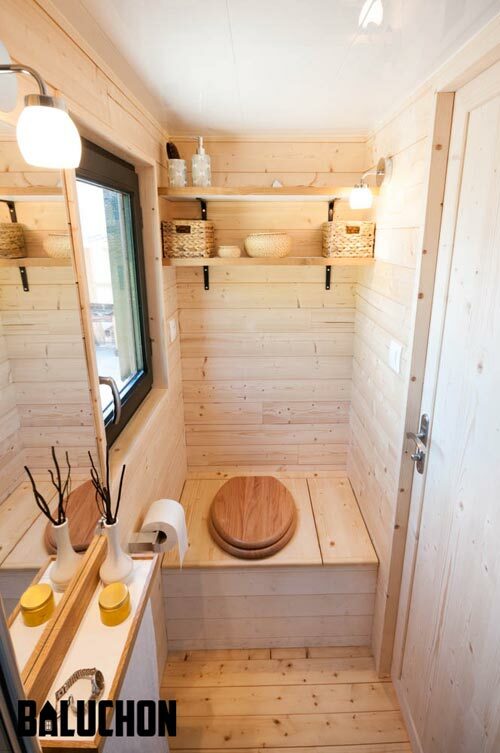 Inside the 20-foot tiny house are box beam ceilings, spruce flooring, and a mixture of stained, natural, and white painted woods. 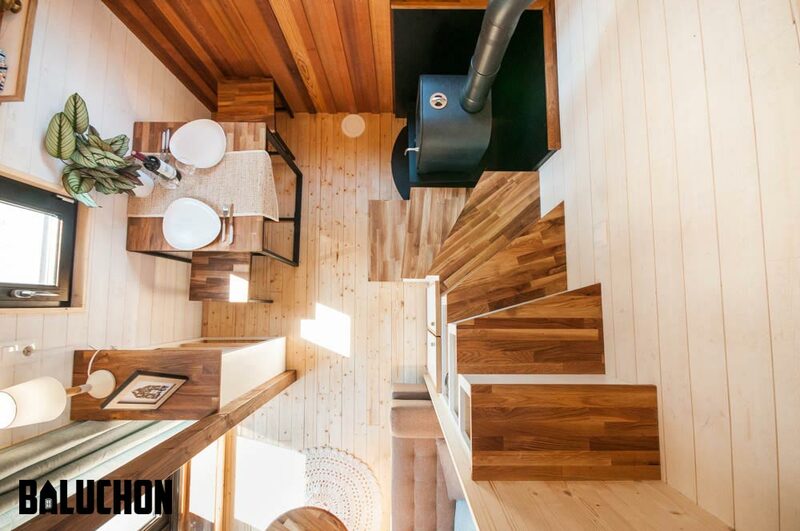 At one end of the house is the dining room table, a small bookcase, a wood stove, and the corner stairs that lead up to the bedroom loft. 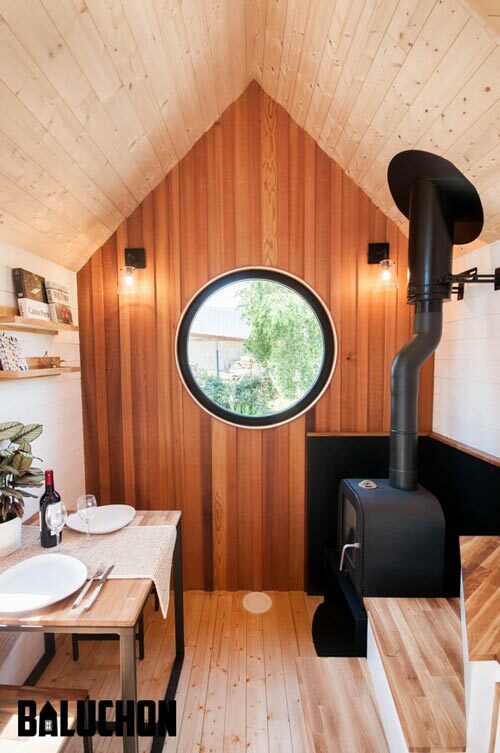 The end wall has rich, colorful Red Cedar with a circular window. 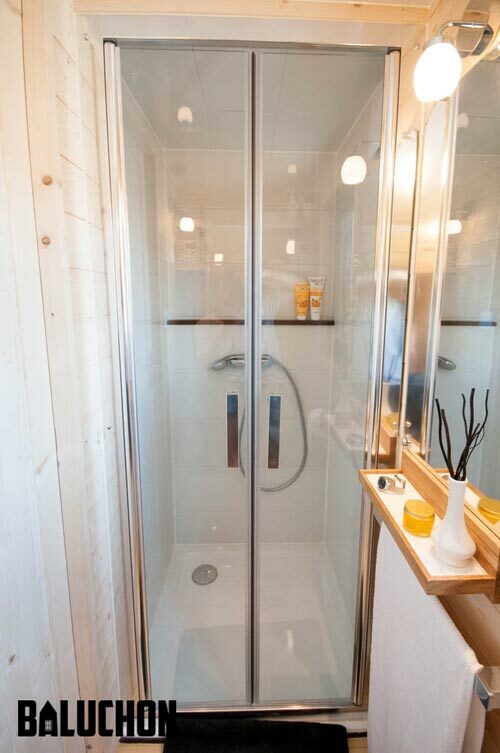 At the opposite end is the galley kitchen and bathroom with a glass shower.